© Maria Sturm. All rights reserved. 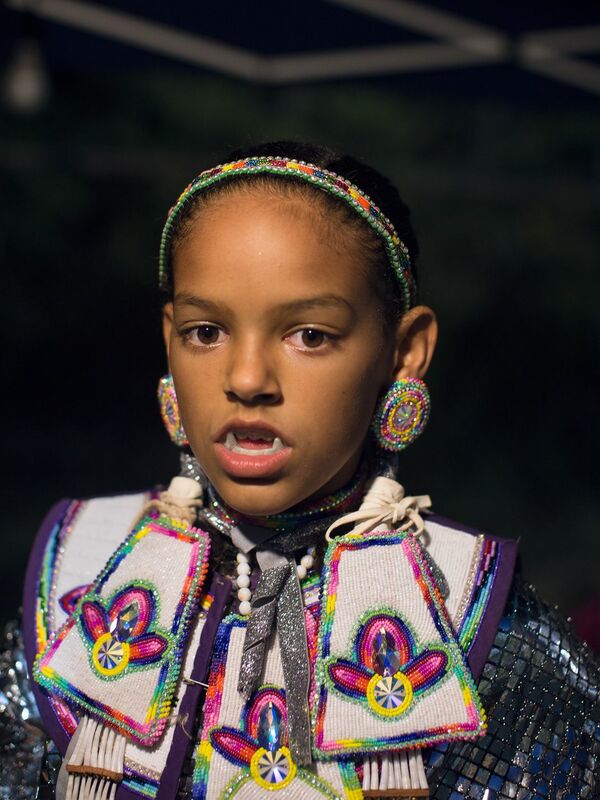 „You don‘t look Native to me“ shows excerpts from the lives of young Native Americans from around Pembroke, Robeson County, North Carolina, where 89% of the city’s population identifies as Native American. The town is the tribal seat of the Lumbee Indian Tribe of North Carolina, the largest state-recognized Native American tribe east of the Mississippi River. Unlike many other Native American tribes, the people of Robeson County were never forced to move. For this reason, they formed a very strong bond to place, locally referred to as the swamp. I am tracing their ways of self-representation, transformed through history, questions of identity with which they are confronted on a daily basis, and their reawakening pride in being Native. I am particularly interested in youth, because it is the period in which one begins the conscious and unconscious path to self-definition. The work consists of portraits, along with landscapes and places, interiors, still lives, and situations. The aesthetic framework that is presented offers clues – sometimes subtle, sometimes loud – for imparting a feeling for their everyday lives. My work engages an unfamiliar mix of concepts: a Native American tribe whose members are ignored by the outside world, who do not wear their otherness on their physique, but who are firm in their identity. I am focusing on an unusual and somewhat paradoxical kind of otherness, one which is not immediately apparent, even though they define themselves in this way. Through photography, video and interviews, I am investigating what happens when social and institutional structures break down and people are forced to rely on themselves for their own resources. This raises questions to the viewer regarding one’s own identity and membership to the unspecified mainstream. This work was started in 2011.